Looking for an all-boys camp in Ottawa? Camp Nominingue provides opportunities for boys to grow together through outdoor skills and wilderness tripping. Adventure Begins at Summer camp! Day and overnight programs and many activities including horseback riding,ESL, paintball, archery, whitewater rafting and more. Offering Awesome memories to campers from Ottawa to China. Camp Cherith Lanark is a co-ed, interdenominational, Christian camp that offers a variety of outdoor skill development within the context of a community committed to Biblical teachings and values. When your child enrolls in any Learn to Sail session your family receives a FREE social membership from July 1st to August 31st to experience Britannia Yacht Club's activities and events offered for members and families. Programs are geared to encourage speaking as opposed to writing proficiency. By using picture images, with English labels, each child gains a certain level of familiarity with the terminology presented. At an Ottawa summer camp, your child can participate in many different summer programs including (among other examples) leadership and special needs programs. There are also science camps in the Ottawa area, along with many sports summer camps such as horse back riding camps. Camps listed here offer a variety of kids' summer activities. Whatever your preference in activities, you can find an Ottawa summer camp that's just right for your kids. We include a variety of suburbs and surrounding towns and cities, also (including Kanata summer camps and summer camps from elsewhere in the Ottawa area). Read each profile closely and consider all your options. And enjoy your stay at camp this summer! Summer camp offers kids growth opportunities that are simply not available any other way. As one camper at one Ottawa kids summer camp (Easter Seals) exclaimed, "I didn’t know what to expect when I came, but it’s really good. You bet I’m coming back. " Since 1998, Our Kids Go To Camp has listed and offered advice about Canadian summer camps. 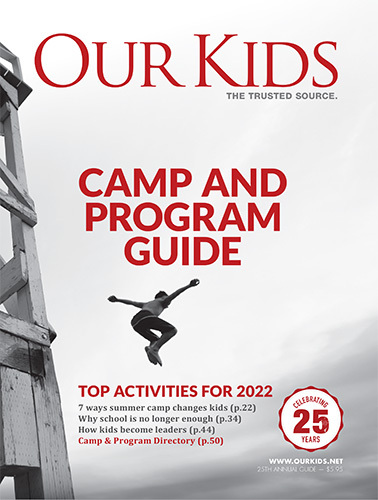 Camps.ca is the new home for articles and listings from that magazine, including articles on learning disability camps, advice for parents, along with focused listings pages on a variety of summer camps including arts camps, summer hockey schools, swimming camps (and classes), dance camps (and classes), and many others.